Losing voice while singing is evidence some kind of vocal abuse is occurring (unless you’re sick). If it happens regularly it’s likely abuse is happening every time you sing, even though you may not realize it. 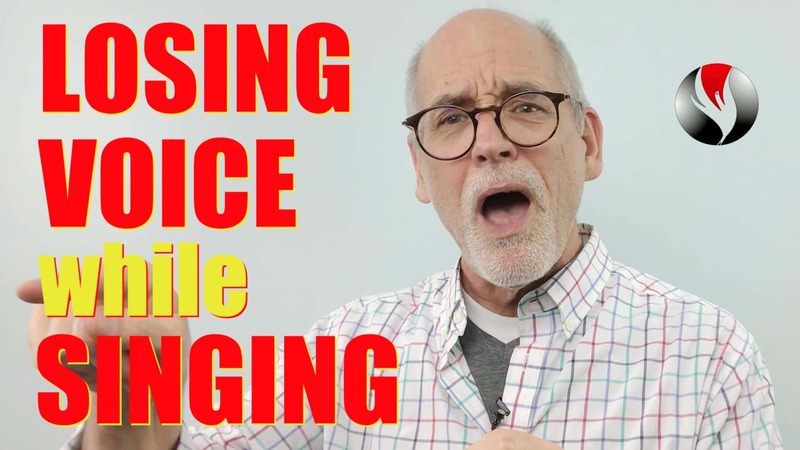 Inside this video I’ll help you diagnose why you’re losing your voice and give you 3 steps to fix your voice so it feels and sounds good every time you sing. 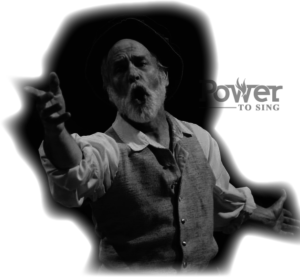 Hi, I’m Chuck Gilmore, International Vocal Coach and Founder of Power To Sing. If you’re new or haven’t subscribed yet, please SUBSCRIBE TO MY CHANNEL AND HIT THE BELL TO BE NOTIFIED WHEN I POST A NEW VIDEO EVERY Friday! There’s nothing more disturbing to a singer than to lose voice while singing. If you lose your voice during the song, you’re in trouble. First I’ll show you how to find the cause of the problem. Then I’ll give you 3 steps to correct the issue so you can sing effortlessly without losing your voice. This is a PROVEN approach that’s worked for THOUSANDS OF students and it will work for you! Number one, overall: Take a Vocal Test! Start by clicking on the red button “Record”. Start Singing “ah” with the piano accompaniment. Click “Stop” when you stop singing. Answer the quiz questions, enter your email address and click on submit. In a minute or so, check your email (check your spam if needed) and tally your answers and choose your vocal type. It will be one of these four. Pulled Chest/High Larynx, Light Chest/No Chest, Flip/Falsetto or Mix. The vocal test has you sing through the transition area of your voice. This is called the bridge or passaggio. It quickly reveals unwanted muscular reactions which cause straining, breathiness, breaking or flipping into falsetto. These negative muscular reactions also happen when you sing songs. You may not be aware of it, but often these are the cause of losing your voice. Do you know what your Vocal Type is? Type yes or no in the comments below! Here are Three Steps to Eliminate Straining, Breaking, Breathiness or flipping into falsetto. Download the Free Exercises for your Vocal type. These exercises will eliminate the unwanted muscular reactions that are causing the hoarseness, loss of voice, and other problems you’re experiencing. Yes eventually you be able to do that! Here’s another helpful video [CLICK HERE] about how vocal types reveal vocal problems. Now you know how to discover and diagnose your vocal problems and eliminate those problems with exercises for your Vocal Type. Here’s the free PDF I mentioned above. It’s called: “Get your Vocal Type”. This PDF contains links to the Vocal Test, videos about your vocal type and the exercises for your individual vocal type. Get the PDF here or in the YOUTUBE description section below this video. IF YOU WANT TO JOIN A COMMUNITY OF SINGERS JUST LIKE YOU, I HAVE A FACEBOOK PAGE, Power To Sing, WHERE I SHARE UP TO DATE SINGING ADVICE TO HELP YOU SUCCEED WITH YOUR VOICE. IF YOU LIKED THIS VIDEO, PLEASE GIVE IT A THUMBS UP, SUBSCRIBE AND SHARE IT A FRIEND. LET ME KNOW IN THE COMMENTS SECTION BELOW IF YOU THINK YOU KNOW YOUR VOCAL TYPE in…”YES I KNOW IT” OR “NO, I NEED TO GET IT”. Ep.58: Singing Tips: Light Chest-No Chest Vocal Type – What’s Out of Balance?